The Central Task Force of Cairo Governorate received a report of a partial collapse of the Manarat al-Sharq School’s wall during the school break, killing a student and injuring six others. The victims were transferred to the hospital. Cairo Governor Khaled Abdelaal inspected the site of the incident and then went to visit the injured students in the hospital to make sure they were in stable condition and receiving the necessary treatment. 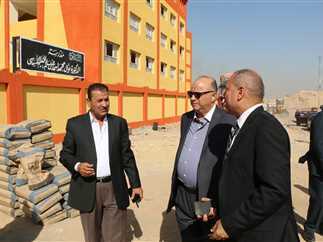 Abdeaal instructed the head of the Marg district and the head of the Giza Education Directorate to take measures to protect the rest of the students inside the school and immediately remove all the debris resulting from the collapse of the wall after prosecutors conclude investigations. He also instructed the disbursement of financial compensation to the students.